What can I say? There you go... My dearest dad and mom on my Convocation on 27/10/2000. Picture taken in front of Bristol Cathedral, England where my convocation was held. Ha...CUTE?? VERY CUTE? Yup..that's right...just like me. hahaha.. This my Little Nephew, Athanasius Lin Zhan Mao. This is my best friend who is currently studying in U.S. 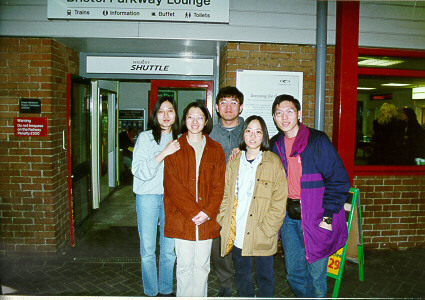 This photo is taken at Parkway Station, Bristol, England in 1998. These are those friends that really helped me to 'get through' my life while I suffer so much difficulties on my first year in England. 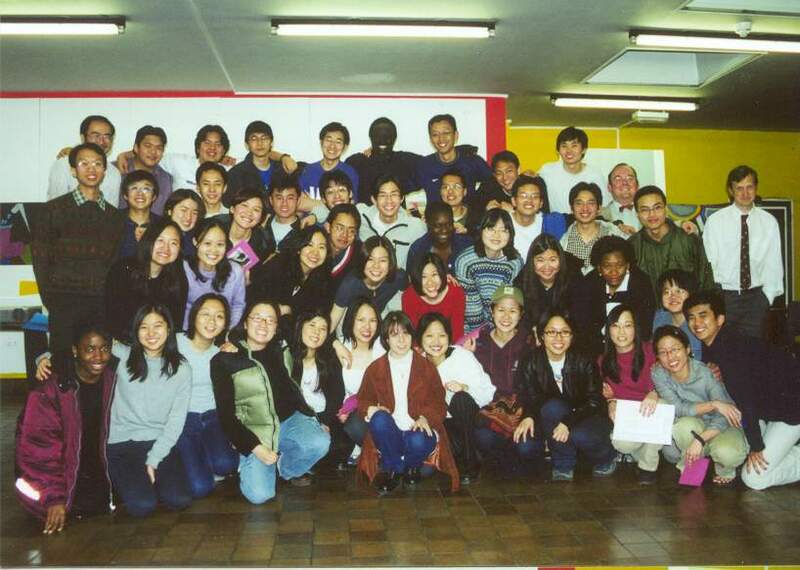 This are my friends from OCF ( Oversea Christian Fellowship) Bristol, UK. They are fun, great, wonder God's children. 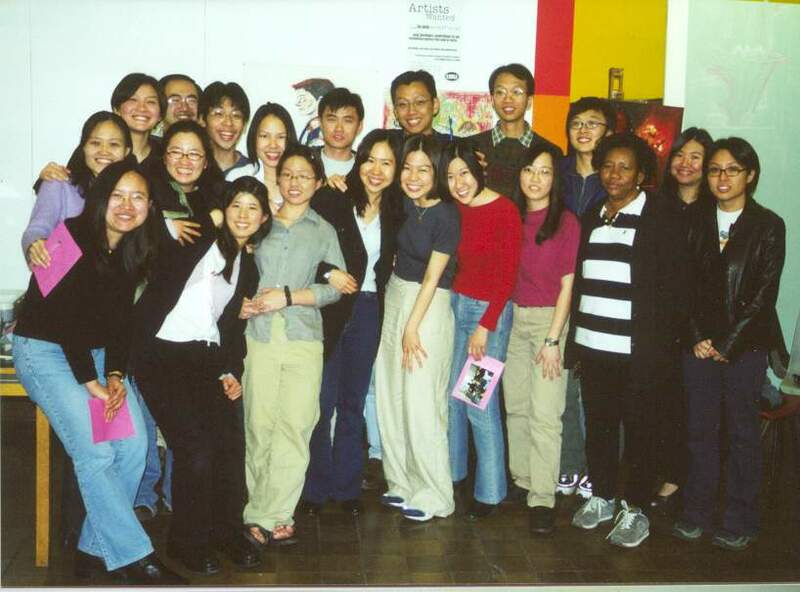 Oversea Christian Fellowship, Bristol, UK 2000 final year students from both Bristol University and University of the West of England. 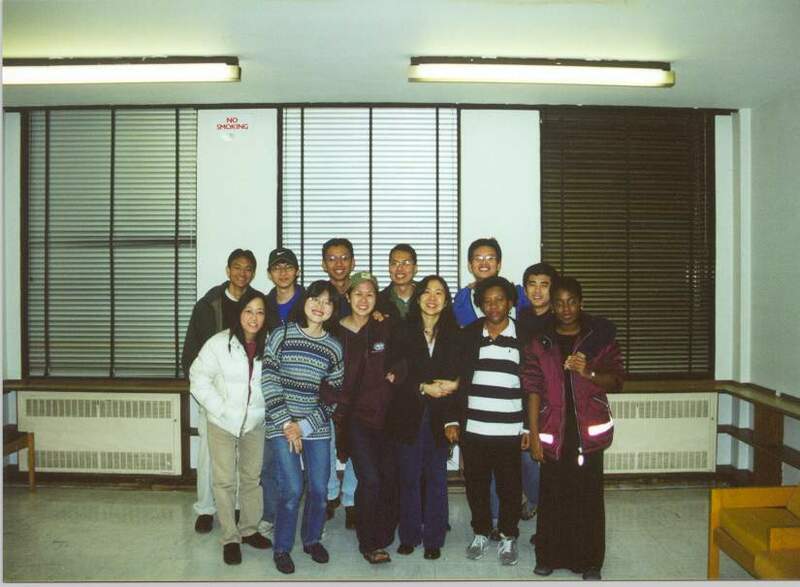 Cell group that I was in when I was attending OCF, Bristol, UK 1999-2000 - God's Little Kindergarden. "BROKEN TO BE MADE WHOLE" - PSALM 51:17 Talking about friends in my life. They are very important to me. Just by looking at the photos above, it really remind me of how important friends are to me. Each and every friend of mine has a wonderful story behind, but....each and every one of them are so special to me. Friends remind me so much of what fun is, what trust is, what friendship is and what is independant. Besides....friends did teach me a lots of things about life. For the first time I experienced care and love is. I always had difficulties of knowing, understanding and believing the existence of care and love, except God's love. However, again and again, God told me moment by moment, through relationships, through experiences, knowledge of why He created friends for me. Even though it is impossible to get a friend like Jesus, like God in this world, but God did put not only one friend in my life. He gave me a lot of friends which when they all combined together, it will about the prefection. 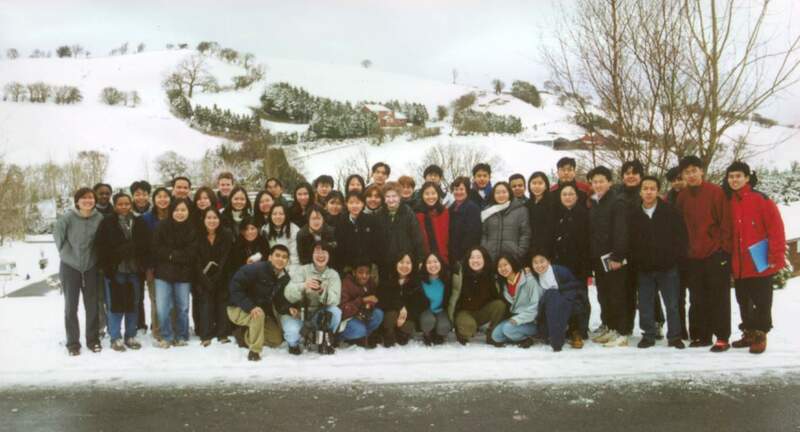 Since I attended OCF, Bristol ( Oversea Christian Fellowship, Bristol, UK) since September 1999, I started to have another concept about friends. For the past 2 years, I have a narrow preception about friend because only 2 to 3 of my friends were there to help me to get through the most difficult time during my stay at Bristol. After I came over to England, my faith in God, my relatioship with Him were very good in the first few months and I experienced how wonderful is the power of prayer. He was so faithful and so wonderful and so merciful to me. But when things getting better, I started to forget about God, about how wonderful He was to me. I asked for Him only when I need Him and God was so amazing and faithful, even though I walked away from Him, been unfaithful to Him, He listened, He helped. After years, I once again felt lonely, lonely in the sense, I cannot experience my relationship with God and i started to search for a fellowship and the only way I tried, was the Christian Union at UWE, Bristol, then, talked to Mary Morgan from BISC ( Bristol International Student Centre). She was kind of helpful and gave me details of OCF, Bristol. I contacted the president and a best friend of hers emailed me back on behalf of her, invited me for OCF meeting. 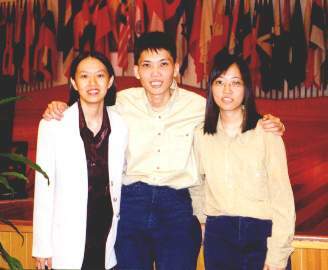 I was overjoy, and when i went to CU that evening, I met another good sister in Christ from Zimbabwe. I called her a couple of time after that and invited her for OCF with me as well. Which was so amazing that we started attending OCF. 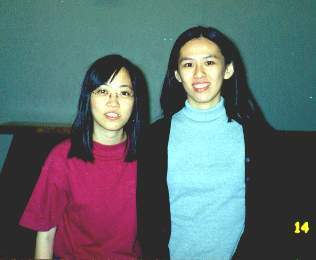 Friends... i always tried not to put too much feeling on them nowaday, until one of the great servent of God from OCF invited me again and again for the OCF Camp 2000. Her encouragement really made me think of a lot of thing and, yes, I am back with God now...which is the most wonderful thing i have now, today in my life. I was so happy until i can rely on Him on anything, including the examinations, my final year undergraduate examinations. He made me enjoyed those examinations so much because with difficulties, i enjoyed His protection, His provident. See...friends are so important that they can encourage you back to God as well. :) I learned so much from these bunch of sisters and brothers in Christ. One of the most important lesson I learned from them is the power of prayer. Wonderful reminding!